Emergency firmware recovery using Odin is the 3rd method of flashing recovery and it is the easiest and quick method. You can use this for firmware recovery of any Android version, but we strongly recommend you to try firmware recovery via Kies or smart switch first. Odin is a utility software and initially used internally by Samsung to flash a custom recovery firmware image to a Samsung Android device. It is windows only software and do not support any other operating system such as MAC or Linux. We recommend these two methods for emergency firmware recovery. 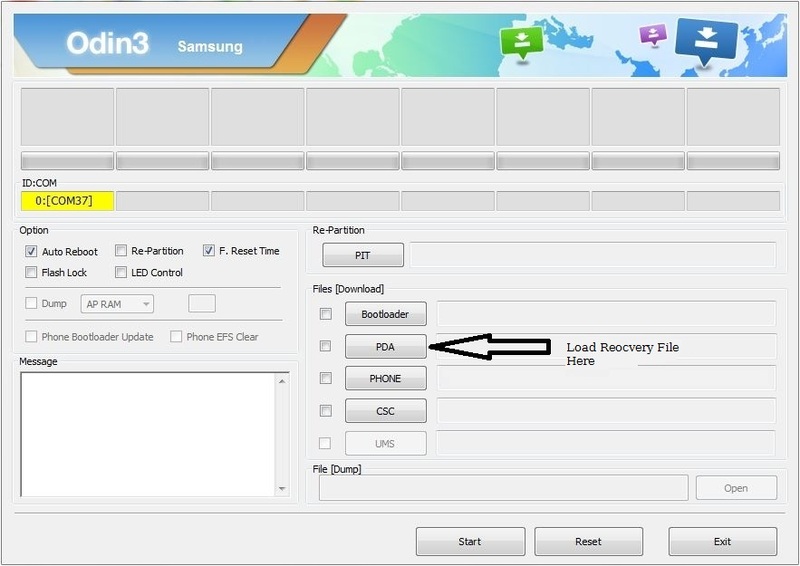 Emergency Firmware recovery using Kies ( Android version below 4.1). 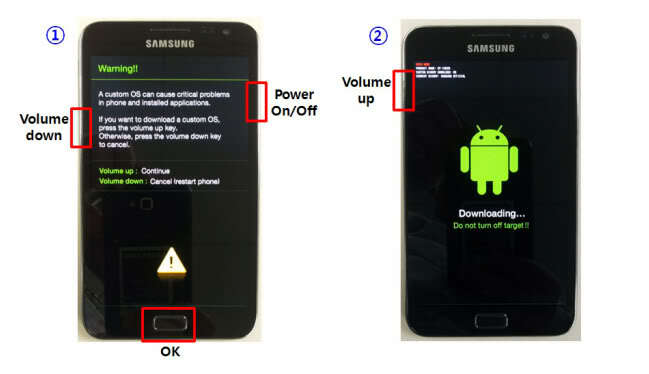 Emergency Firmware recovery using Smart switch (Android version above 4.1). If any of those methods do not work for you or you just want to recover your firmware using Odin then use the steps Given below. Note: Try this method at your own risk we are not responsible for any software or hardware damage to your phone. First of all Download All Samsung recovery file. Boot your phone into Download mode. To boot your phone in download mode Press Vol Up/down +home +power (check screenshot below). Now open Odin on your PC. [ID: COM] box will turn yellow if the device connects properly (check screen shot). 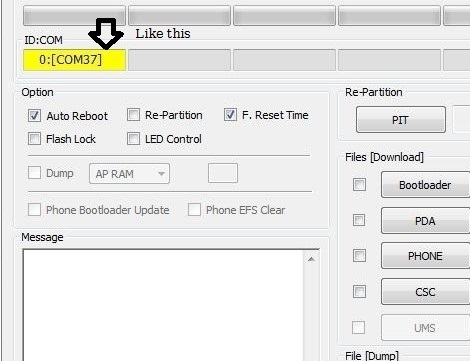 Now Click on PDA /AP and Load recovery file from PC. Don’t Check or Uncheck any box if you are not Expert. Now Click on “Start” Button. ID: COM box will turn green and it will show a message “PASS”. After the successful recovery, your phone will restart automatically. i am in facing problem on upgrade samsung phone firmware, when i am ready to do this all is good but modem file are not loaded that’s show time out, but i have official stock rom.. is this problem on my phone ? Hi Shohag, can you please be specific in your question, tell us your phone’s model, software you are using to upgrade, tool, etc.